Impressive shot ! So much joy despite the poor conditions they live in. 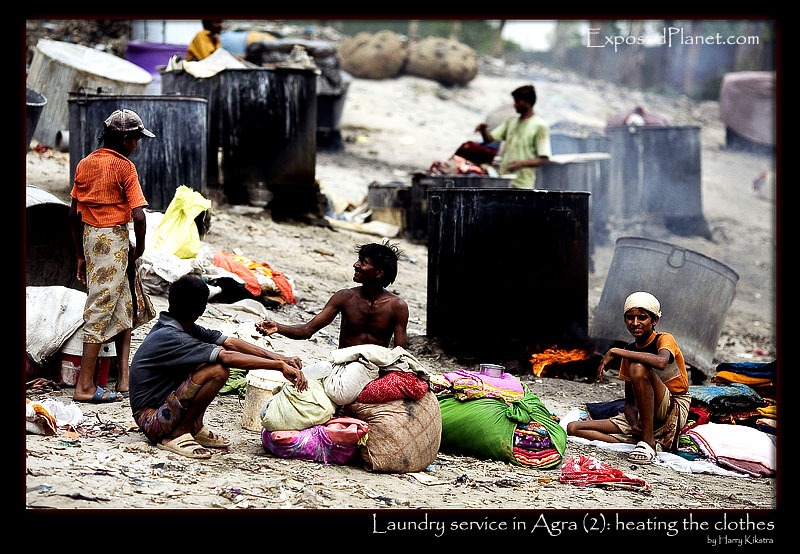 The story behind "Laundry service in Agra, part 2: cooking the laundry"
These people keep on smiling, while doing the hard work for almost no pay day in, day out..
Part 2 of the Agra laundry service. The clothes get boiled in large kettles with warm water. I am not sure how many degrees it was inside the kettles, but it was already 45 degrees centigrade outside, so I assume it was hot :-)These people keep on smiling, while doing the hard work for almost no pay day in, day out..